How does a plane with no windows have all-window seating? camera (Spike Aerospace) Pictured is a S-512 Supersonic Jet interior. 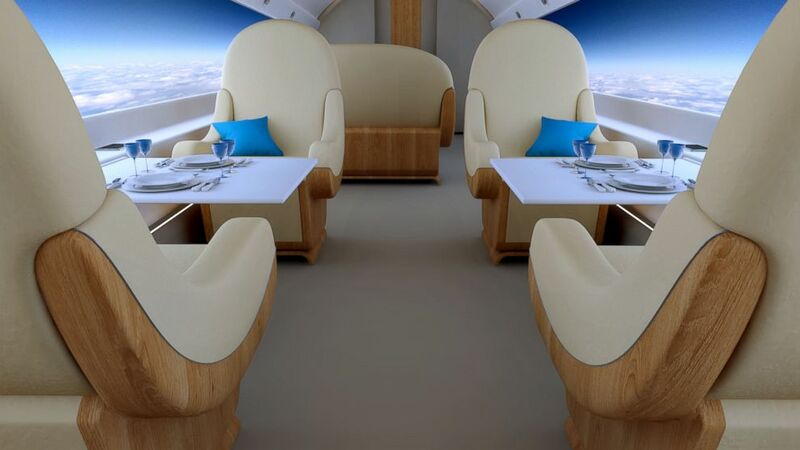 Imagine a flight where every seat is a window seat - in a plane that actually has no windows at all! 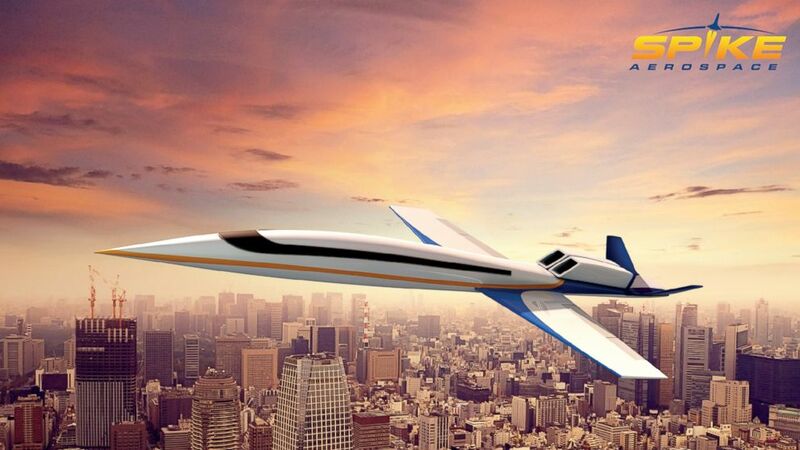 That's the concept behind the plan for the "world's first supersonic jet." Called the Spike S-512, it was conceptualized by Spike Aerospace, Inc. 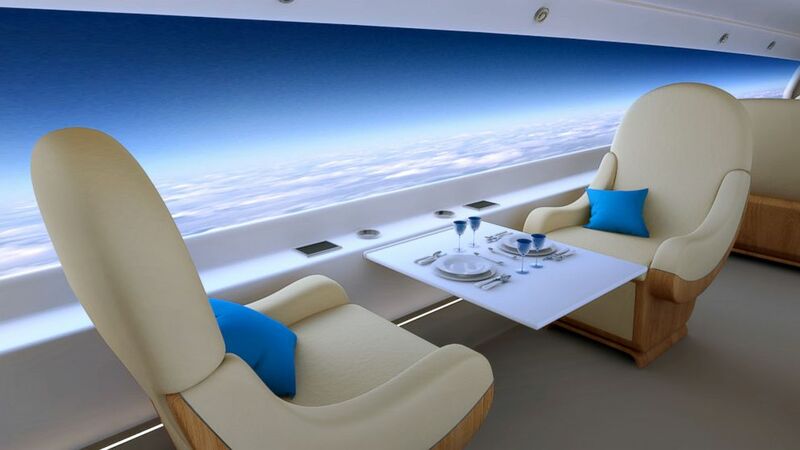 The company said that in addition to the windowless feature, the jet will reach international destinations faster than any jet currently on the market. (Spike Aerospace) Pictured is a S-512 Supersonic Jet interior. So how does this all-window-seat design work? The aircraft will be windowless and the interior walls of the cabin will be covered with a thin display screens embedded into the wall. 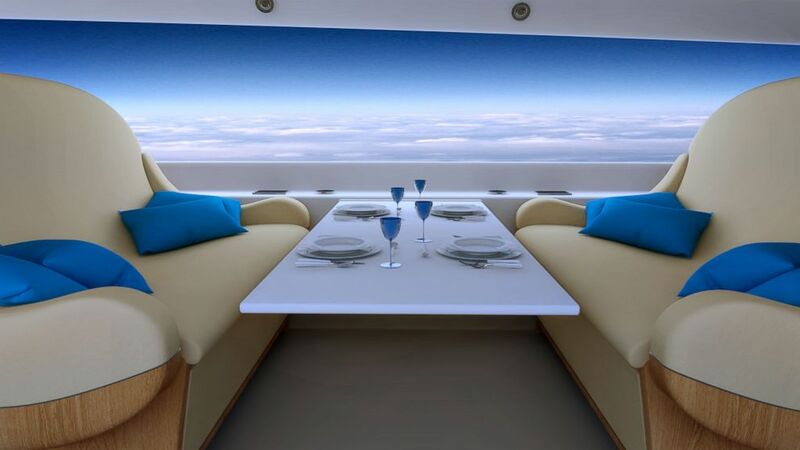 Cameras surrounding the entire aircraft will construct "breathtaking panoramic views" displayed on the cabin screens. 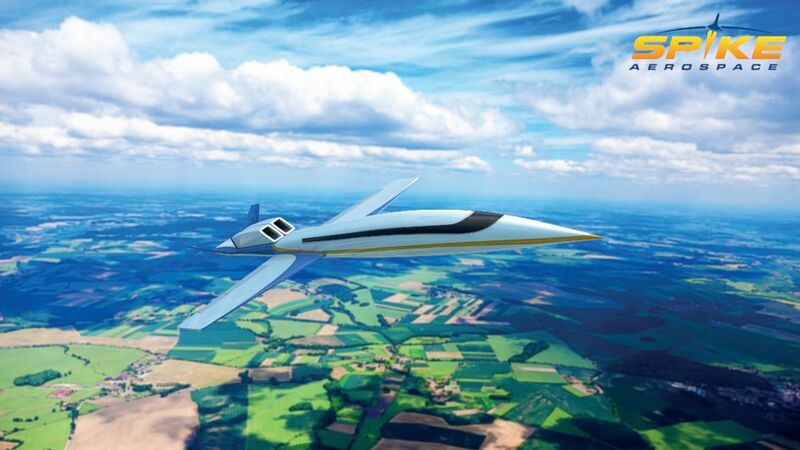 (Spike Aerospace) Pictured is the S-512 Supersonic Jet. And if you're looking for a little shut-eye, passengers will be able to dim the screens or change them to "one of the many scenic images stored in the system." Spike Aerospace said there's good reason to remove windows from the aircraft cabin. Windows, they said, cause significant challenges in designing and constructing an aircraft fuselage." The additional structural support needed adds weight to the aircraft.